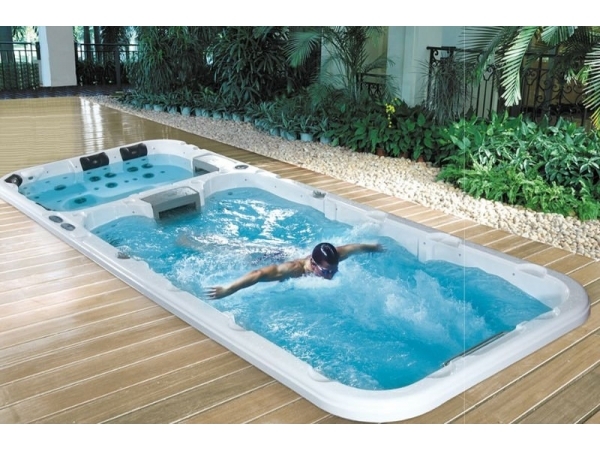 The Aquatic 3 DEEP is the ultimate multi-use Swim Spa. The swimming area has two seats in addition to a spacious swim lane, and there is an adjoining spa with ample seating for 5 people. 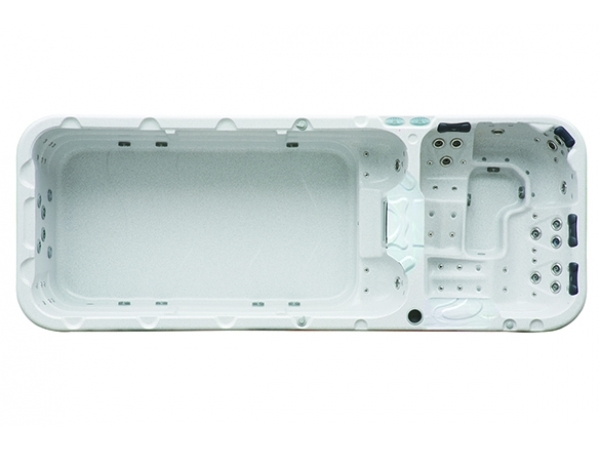 The Aquatic 3 is available in a standard 52â€� depth, or an optional 62â€� for those desiring greater depth in the swim lane. 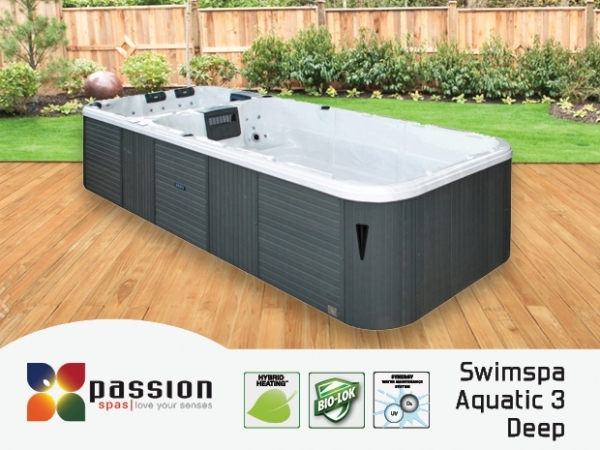 Passion Swim Spas are equipped with high performance pumps for awesome performance plus a low-wattage filtration pump for energy efficiency.